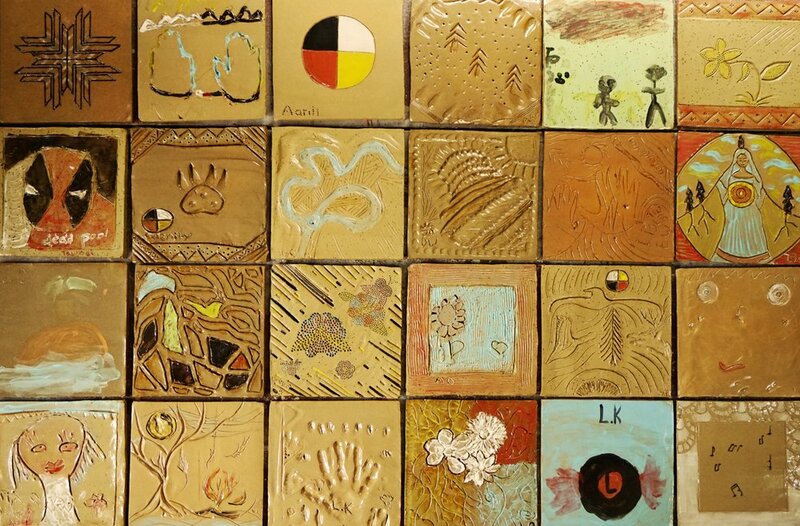 The Clay Project started as a discussion between visual artist Beth McCubbin and aboriginal youth worker Kateri Miles, from Minwaashin Lodge in Vanier, Ottawa. The intent of the project is to offer free clay workshops to Ottawa's Aboriginal Community, to celebrate Community through the creation of a Public Artwork, and as a positive way to be involved in the Canada 150 celebrations. Once permanently installed, the mural will be accompanied by a plaque to celebrate all Indigenous Peoples in 2017. It will distinguish this time in history as Year One of Reconciliation in Canada and commemorate our present and future as a Proud Strong Diverse Nation.